Hello everyone, and welcome back to this week’s report! The weather has had its ups and downs this week with some nice weather in the beginning of the week, then the wind started back up toward the end. The good news is that the winds are subsiding and should be nice for the weekend. Maybe a little wind close to 15 knots for Saturday, but Sunday is looking beautiful at around 10 knots. The fishing this week has been marginal for Sailfishing, as this wind should have kept the current in on the edge of the reef, but somehow did not. The HUGE moon that we just had I am sure pushed it out with the big tides, so with the wind staying out of the southeast, as this moon shrinks I am hoping the current will come back. A few sails around each day with most boat getting a shot or two throughout the day, but this is not the fishing we are used to. I think the weekend is going to have a more positive outlook than the past 2 weeks, so we will see what it brings. The wreck fishing has been picking up with the mutton snappers, and the groupers have been chewing. Can’t keep any groupers until May 1st, but they are still fun to catch. Still seeing good numbers of Kings and bonita, and a few really nice Wahoo this week with one weighing in at 61 pounds. That is a pretty good one for these parts, but we still haven’t seen the big numbers of them yet. The reef bite remains good with the yellowtail snappers and ceros if that is what you are after, as the wind has been creating enough movement to keep these guys chewing. The best of it has been from 60’ to 80’ as usual, so not much change here. Although, the patch reefs have some pretty nice fish on them, so you definitely don’t have to go deep to get them. No report from the Cobia on the ocean side this week mostly due to the weather, but if we get it to slick off, and the water cleans up, I will bet you they will be on the rays. Should start seeing the permit on the wrecks pretty soon, as they begin their annual migration to spawn. I have received one report already from the bubble blowers that they are starting to see a few on the offshore deeper wrecks, so stay tuned for this update. Still some pretty good fishing around, but you just have to fish smart. It has definitely been a week to “fish for what is biting’. Well, that is it for this week everyone! Check back next week to see what’s going on in our little piece of paradise! 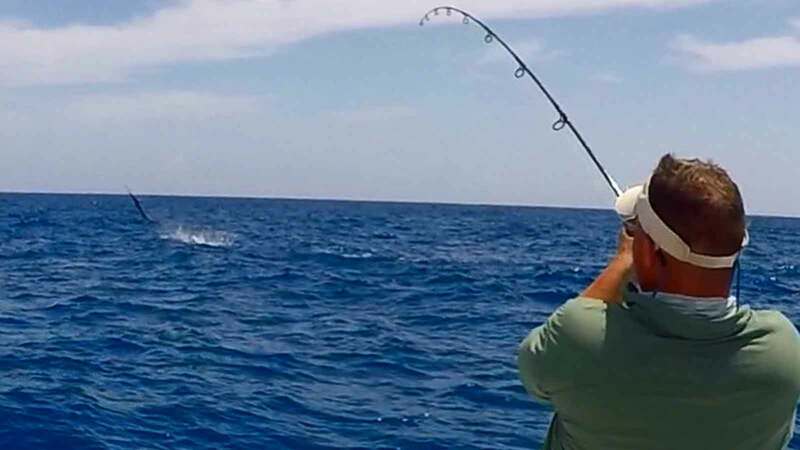 Located in Islamorada, our Florida Keys fishing charters are second to none! We are always striving to give our guests the absolute best day of fishing they have ever had, whether the first time fishing with us or the 20th time, and will stop at nothing to ensure that is what you get!